The Fresco Interiors Design Center offers clients inspirational design concepts for both residential and commercial projects. 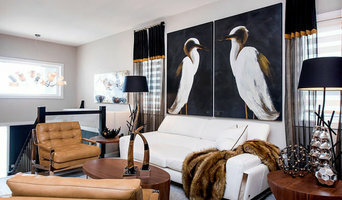 Fresco Interiors was established in 2003. We offer exclusive selections of artwork, furniture, wallpaper, lighting accessories, custom drapery and blinds – featuring the largest fabric selection in Saskatchewan. Located at 701 Broadway Ave in Saskatoon. Fresco Interiors hours of operation are – Tuesday-Friday 10am-5pm by Appointment Only. Fresco Interiors Design Group Inc...Creating fabulous lifestyles. Commercial & Residential- Changing the way you live, designing the world around you… Every great dream begins with a great dreamer. At Metric, we dream of your space as much as you do. Our value is placed not only in what we do but how we do it. We continue to be an industry leader in interior design and design-build services, and our philosophy is what drives us. Construction created from a careful design is our business, people are our passion, and it is this passion that gives meaning to our lives. ...your partner in architecting your vision. 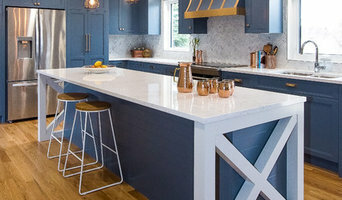 Majestic Cabinets specializes in custom cabinetry - unique creations that spark personality in any home. From the kitchen to the bathroom, laundry room to mudroom, closets to basements, the Majestic crew is experienced in creating individual designs that suit your space. Our cabinets are constructed in-house by a team of carpenters - a rare distinction among cabinet makers. Locally owned and operated, Majestic Cabinets is a family business co-owned by Murray Cressman and his sons Brad and Jesse. Established in 1990 the company has grown from a "one man show" to over 20 staff members. Murray believes this growth is attributed to the company's commitment to quality and customer satisfaction. Throughout the years, Murray has worked hard to bring a timeless, quality product to his customers, taking great care to ensure each product created is something he would put in his own home. The staff members at Majestic Cabinets are talented, experienced and passionate about what they do, Candyce, Josie, and Melissa help with your millwork design and finish selections. All three have a unique background and skill set that brings a wonderful dynamic to the Majestic team. Our designers make it a practice to work closely together with clients to create fresh and exciting new concepts. It all starts with an idea, come by Majestic Cabinet's showroom and see what we can do for you! Our team is here to assist clients in achieving spaces that are uniquely suited to them, be it residential or commercial. Making sure each space meets their needs and exceeds their expectations are things we strive for in every project. From programming to space planning, finishes and contractor coordination, Luminary Design excels at helping clients through all stages of the design process. We work on all projects from bathroom and kitchen renovations to new home builds, office renovations and full tenant expansions including planning services for real estate marketing. 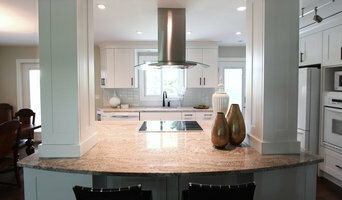 Family owned and operated, Kitchen Designs Studio is located in Saskatoon. Custom cabinetry is the focus of our company, with an emphasis on quality craftsmanship. We believe that your kitchen and railing are the most important features of your home. Your kitchen is where friends and family gather to share experiences and memories. Our railings not only provide the safety they are designed for but also provide you an impressive feature to your space. Here at Kitchen Designs we try our best to produce not only functional kitchens and railing but unique and aesthetically pleasing as well. We drive on the principal that the client’s needs are the most important factor and our goal is to meet and exceed these expectations. The high ethical standards represented in our company are expected from our employees and every level of our organization. If there is one thing that serves as the back bone of our business philosophy it is our company values. We create and provide our clients with cabinets that fuse both style and purpose through a creative and intuitive journey called CorElements. Using real-life kitchen components CorElements showcases and demonstrates ergonomics, varying countertop and appliance heights, acoustic, light reflection and more. By introducing these intuitive elements into your design it will assist you in not only creating a beautiful space but also a space with function and purpose. Interior Design and Decorating Firm with years of experience in commercial and residential design. Contemporary designs using local community resources. Our aim is to build and achieve a healthy & more aesthetically pleasing environment for you and your family. Your comfort, our style; Our creation, your home. We are a locally owned and operated custom cabinet shop. 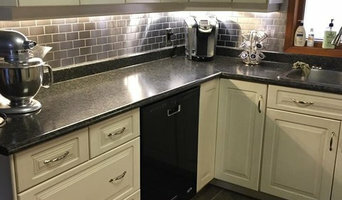 We offer cabinets and countertops for new homes, renovations, and offices. Our cabinets are crafted in our shop using high quality materials but at a very competitive price. Come check us out. Custom costs less than you think. William Wolf Design is a full-service interior design company specializing in residential, commercial and hospitality design. Our scope ranges from residential renovations to complete project development services. Our process is easy going, collaborative and responsive. We put listening first and believe that key to a complete design is the details. Regardless of your needs, we can deliver the unique character that your looking for. Custom Cabinet and Countertop design, supply, and installation.